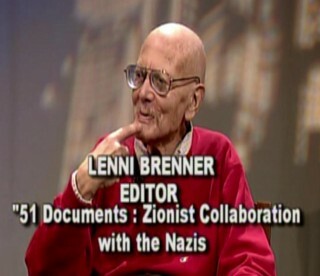 The fact that the initiation of the Zionist project had nothing to do with the Holocaust, as it developed more than a half century earlier, and the fact of the mostly indifference to the slaughter of Jews on the part of the founders of Israel, together with its collaboration with the Nazi Party, undermines Israel’s projected, and exploited, image as innocent victim. Both Nazism and Zionism arose in tandem from small insignificant social movements in the early part of the 20th century, arguing, with equal force, that Jews were an alien and indigestible mass living in the midst of an otherwise pure Aryan population. Both movements contributed to the more general acceptance of this argument in Europe, and particularly in Germany, as mid-century approached, and both have to be responsible for the consequences. The understanding of Herzl, as well as the Zionists, about the inevitability of anti-Semitism was possibly self-fulfilling, for rather than opposing anti-Semitism in the first half of the 20th century, the Zionists found common cause with Hitler, Eichmann, and the Nazis and used anti-Semitism and Nazism as a means of achieving their end which was the establishment of a Jewish state. The two reactionary movements shared the view that German Jews were living in that country as a ‘foreign race’ and that the racial divide was essential to maintain. The Zionists’ use of Nazism involved, among other things, the blocking of avenues of escape to other countries of Europe’s Jews and diverting them to Palestine, even as the death trains began to roll in Europe. The rise of Nazism and Hitler to power was never, or almost never, opposed by the Zionists prior to the establishment of Israel. During his February trip to Berlin, Polkes proposed that the Haganah act as spies for the Nazi government and, as a sign of good faith, passed on intelligence information which was detrimental to their mutual enemies, the Communists. History might have been very different had the Zionist component of Jewry opposed Nazism; there might never have been a Holocaust. And there might never have been a state of Israel, as some Zionists well understood. … of all of the active Jewish opponents of the boycott idea [of Nazi Germany], the most important was the world Zionists Organization (WZO). It not only bought German wares; it sold them, and even sought out new customers for Hitler and his industrialist backers. Here Brenner is referring to the so-called Ha’avara agreement, or ‘transfer agreement’. 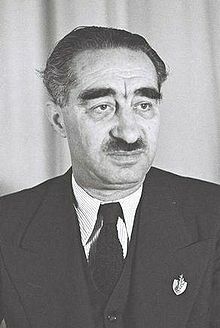 In 1933, Sam Cohen, owner of a citrus export company in Tel Aviv, approached the German government with the proposal that emigrants from Germany could avoid the flight tax by instead purchasing German products, which would then be shipped to Palestine, along with their purchasers, where the new arrivals in Palestine could then redeem their investments after the sale of the products by import merchants. Heinrich Wolff, the German Consul in Jerusalem, quickly realized the utility of such an arrangement in tamping the international boycott effort of German import goods. 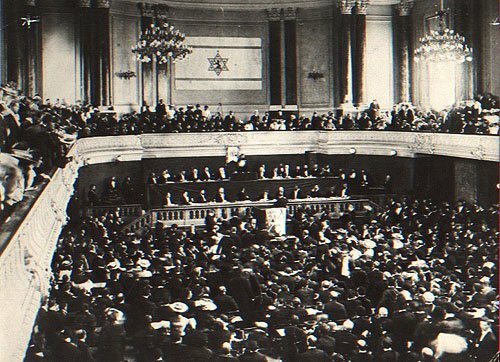 Cohen had promised Heinrich Wolff that he would work behind the scenes at the forthcoming Jewish conference in London to weaken or defeat any boycott resolution. Negotiations with the Nazi government were taken over by the World Zionist Organization and Cohen was replaced by Chaim Arlosoroff, the Political Secretary of the Jewish Agency. Arlosoroff traveled to Berlin in May of 1933. He and the Nazis reached a preliminary understanding to continue Cohen’s arrangement. Arlosoroff returned to Tel Aviv where he was assassinated, most probably by some members of the Revisionist wing of Zionism headed by Jabotinsky who opposed any accommodation with the Nazis. Negotiations continued, however, and an agreement was signed in 1933 between the Nazis and the World Zionist Organization which persisted until 1939 and the German invasion of Poland. The Ha’arava grew to become a substantial banking and trading house with 137 specialists in its Jerusalem office at the height of its activities. The sale of German products expanded to include destinations outside of Palestine, but the arrangement remained essentially the same as the one originally negotiated by Sam Cohen – that German Jews wishing to emigrate, rather giving up most or all of their wealth to the German government, could invest their money in a German bank which would be used for purchasing German export goods. The purchaser could then redeem his investment when the goods had been sold and after he had arrived in Palestine. The German government set the rules and the emigrant would lose typically in excess of 30% of his investment and, eventually, 50%. Indeed, there was a fundamental incompatibility with the up-building of a Jewish state in Palestine and opposition to the Nazi program of extermination of Europe’s Jews. The Ha’avara agreement allowed the transfer of LP 8,100,000 (Palestinian Pounds; then $40,419,000) to Palestine along with 60,000 German Jews between 1933 and 1939. But it also had the effect of undercutting the international boycott effort and providing an inflow of capital to the German government owing to the sale of German manufactured goods abroad. This understanding is important, as the Holocaust has been central in provoking sympathy for the State of Israel and in amplifying the claims for reparations from European governments. Sympathy for the victims of the Holocaust, whether Jews or Roma, is no less justified, but the state of Israel cannot maintain an air of complete innocence nor be the justified recipient of billions of dollars or reparations, very little of which is actually dispersed to Holocaust survivors. Nor has Israel accepted the universal principle that states must pay reparations to ethnicities whom it has harmed, as Israel has ignored or denied the catastrophe of ethnic cleansing and massacres which it prosecuted against the Palestinian people in 1948. The model of Jews fleeing a burning building; i.e., the Nazi Holocaust, and thus creating a redoubt of safety in the form of the state of Israel cannot be maintained. 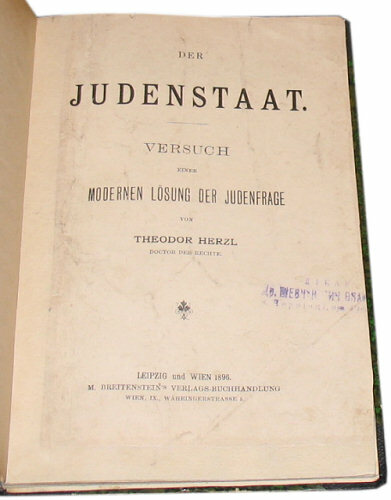 Aside from the fact that the Zionist project was initiated at least by the time of Herzl’s Der Judenstaat of 1896 and his founding of the World Zionist Congress a year later, and well before the Nazi ascension to power in the 1930s, the Zionists were little concerned with the slaughter of Jews in Europe and almost exclusively focused on building a state in Palestine. By 1943, ample reports of massacres of Europe’s Jews were arriving in the US, though it garnered little of the mainstream press. 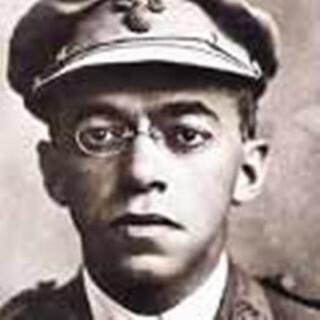 Jabotinsky’s “revisionist zionism” At this time, Peter Bergson, a Palestinian Jew and member of the Irgun, a militant offspring of the Revisionist Zionists, and his young colleagues, shifted their attention to saving Europe’s Jews. Bergson, who had been sent to New York City, by Revisionists leader, Jaobtinsky, in order to create American support of the establishment of a Jewish army in Palestine, and his colleagues formed the Emergency Committee to Save Europe’s Jews and initiated it with a conference attended by 1500 delegates including former President Herbert Hoover and New York Mayor Fiorello La Guardia. The delegates ultimately adopted an eight-point rescue program, the primary feature of which was the creation of a US government agency charged with saving Europe’s Jews. They also called for their allies to immediately attack the concentration camps and bomb railroads lines leading to them. The conference’s program sought to avoid the issue of a Jewish state in Palestine, preferring to leave that to another day. Indeed, the efforts of Bergson were perceived by the American Jewish organizations, and especially by Rabbi Stephen Wise, head of the American Jewish Conference, as an effort to divert energy and attention away from Zionism and the up-building of a Jewish state in Palestine. The Emergency Committee also organized public events and rallies and a march by 450 Orthodox rabbis to the White House and the US Capitol. They also staged a theatrical production, entitled, We Will Never Die, authored by Academy Award winning screen writer Ben Hecht and included actors such as Edward G. Robinson with music written by Bertoldt Brecht. The play chronicled the contributions of Jews and addressed the current situation of Europe’s Jews. The production played to 40,000 in Madison Square Garden and, in Washington, was viewed by Eleanor Roosevelt and hundreds of members of Congress. Though the Emergency Committee had raised the consciousness of Americans for the plight of Europe’s Jews, their efforts were strongly opposed by America’s organized Jewish groups including Rabbi Stephen Wise and his American Jewish Congress. In Buffalo, Baltimore, and Pittsburgh, local mainstream Jewish organizations attempted to block the production of We Will Never Die. Most significant of the Emergency Committees’ actions was to provoke the sponsorship of a resolution, introduced in the House by Baldwin and Will Rogers Jr., and in the Senate by Guy Gillette, on November 9, 1943. 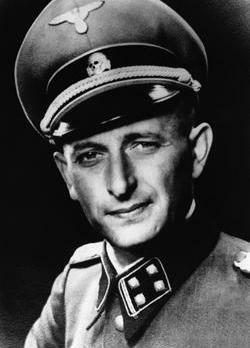 Resolved, That the House of Representatives recommends and urges the creation by the President of a commission of diplomatic, economic, and military experts to formulate and effectuate a plan of immediate action designed to save the surviving Jewish people of Europe from extinction at the hands of Nazi Germany. Senator Gillette emphasized that the bill focused only on rescue and not on the issue of Palestine or a Jewish state. It is not to be confused with the dispute over the future of Palestine, over a Jewish state or a Jewish army. The issue is non-sectarian. The sole object here is to rescue as many as possible of Hitler’s victims, pending complete Allied victory. The lack of a reference to Palestine was, of course, intentionally absent from the bill. Gillette also faced strong opposition. I was very sorry to note, as were others among your friends, that you had accepted the Chairmanship of the Washington Division of the Committee to Rescue European Jews. 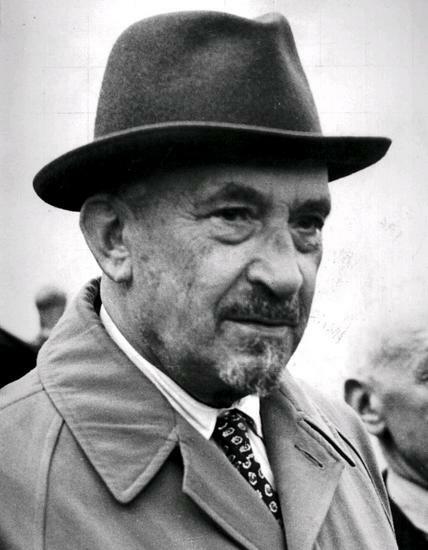 … I do not like to speak ill of you, not of us, concerning a group of Jews, but I am under the inexorable necessity of saying to you that the time will come, and come soon, when you will find it necessary to withdraw from this irresponsible group, which exists and obtains funds through being permitted to use the names of non-Jews like yourself. Despite the opposition of the American Zionist community, the bill passed the Senate Foreign Relations Committee unanimously only to die in the entire Senate. Reports of atrocities and mass murders in the Ukraine began arriving in the west in 1941. In January 1942, the Soviets issued a report of the working of the Einsatzgruppen, or the SS, and in May of that year, the Bund, the Jewish Workers Union of Poland and Russia, which was anti-Zionist, sent London a radio message that 700,000 people, most Jews, were exterminated in Poland. This message was repeated on the BBC two months later. The focus here is on the hypothetical Nazi attack on Palestine, not on the slaughter actually taking place in Europe, but based, nonetheless, on Shertok’s understanding that such a slaughter was, in fact, taking place. Despite the amply sufficient reports of massacres and exterminations, essentially nothing at all was done by the Zionist organizations, and reports of atrocities were consistently minimized. The irony is overwhelming. Though the memory and imagery of the Holocaust is not far from the lips of every Israel leader, particularly the present one, and though this imagery is exploited for the sake of gaining tolerance and forbearance from the international community, as well as reparations which go well beyond actuarial merits, there was little serious concern on the part of organized Zionism for those facing extermination in Europe. Rather the Holocaust was regarded as a threat which had the potential of diverting energy and resources from the creation of a Jewish state in Palestine which was by far their highest priority. At the end of the war a document, dated 11 January 1941, produced by Avraham Stern, proposing a military alliance and an understanding between the Third Reich and the Zionists was found in the German embassy in Ankara. It had been presented to two German diplomats in Lebanon, under Vichy at that time. The document was entitled, “Proposal for the National Military Organization (Irgun Zvai Leumi) Concerning the Solution of the Jewish Question in Europe and the Participation of the NMO in the War on the side of Germany.” The NMO, later to adopt the name Lohamamei Herut Yisrael, or lehi for short, was universally known by its British designation as the Stern gang. Proceeding from these considerations, the NMO in Palestine, under the condition the above-mentioned national aspirations of the Israeli freedom movement, are recognized on the side of the German Reich, offers to actively take part in the war on Germany’s side [italics mine]. This offer by the NMO … would be connected to the military training and organization of Jewish manpower in Europe, under the leadership and command of the NMO. These military units would take part in the fight to conquer Palestine, should such a front be decided upon. The Irgun, (the MNO) under Manachem Begin, and the Stern Gang, are sometime blamed, by mainstream Zionism, as being uniquely responsible for the more grotesque atrocities of Israel’s fight against both the Arabs and against the British in its quest for statehood; for example, the bombing of the King David Hotel in 1946, in which 96 mostly civilians were killed, and the massacre at Deir Yassin. In fact, both of these actions involved the coordination of these ‘dissident groups’ with the Haganah — the military under the direction of David Ben Gurion. 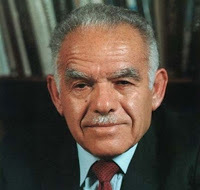 Yitzhak Yzernitsky — later to call himself Yitzhak Shamir, and later to become Israeli Prime Minister, in fact, the longest serving Prime Minister of Israel except for David Ben Gurion — became the operations commander of the Stern Gang after Avraham Stern was killed by the British army in February of 1942. Under Shamir’s leadership, 14 assassinations were attempted of British officials with two successful ones, of Lord Moyne, the British Minister Resident in the Middle East, sitting in Cairo, and the UN Representative to Palestine, Count Folke Bernadotte, who received three bullets in the heart on the order of Stern’s operations commander and future Prime Minister – Yitzhak Shamir. The Charter of the Stern Gang, or more accurately, the principles promulgated by Stern, included the establishment of a Jewish state “from the Nile to the Euphrates”, the ‘transfer of the Palestinian Arabs to regions outside of the Jewish state, and the building of the Third Temple in Jerusalem. It maintained offices outside of the Middle East – including Warsaw, Paris, London, and New York City, the latter headed by Benzion Netanyahu, the present Prime Minister’s father. This entry was posted in 4th Media, ELITES AND NEW WORLD ORDER, FALSE FLAGS, Zionism and Anti-Semitism, Zionism as Racism and Fascism. Bookmark the permalink. This makes me wonder if Christians will be as reviled as Jews in the ages to come. Into this broken world we come, only to break it further. No love, only dominance. Another source on this is “The Transfer Agreement” by Edwin Black.